I was elected as City Mayor in 2011 and re-elected in 2015. During this time I have been working hard to make Leicester a confident, vibrant city where people are proud to live, study, work or visit. 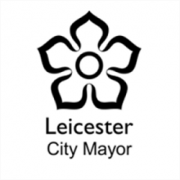 CrowdFund Leicester helps local groups and organisations to come together to liven up and improve our civic spaces, helping turn innovative and exciting ideas into practical reality. I want to fund activities, initiatives and projects that can make a real difference to the quality of life for some of our communities in Leicester, particularly underserved communities that are usually considered “hard to reach” or “difficult to engage”. I want to support innovative projects, addressing a genuine need that isn't being met in other ways. I'd like to hear from those who can help achieve the vision of a city with a sense of shared identity, common purpose and civic responsibility; that can help refresh and renew the Council's relations with the Voluntary and Community Sector; projects that can help make Leicester a welcoming and accepting place for new and emerging communities and enable flexible, imaginative and innovative responses to challenges and opportunities facing the Council, citizens and communities of Leicester. Individuals are not eligible for this fund but can partner with an organisation to be eligible. - fostering good relations between communities and groups. If you can say how your proposal helps meet these three outcomes in your application, you may be eligible for support from this fund.